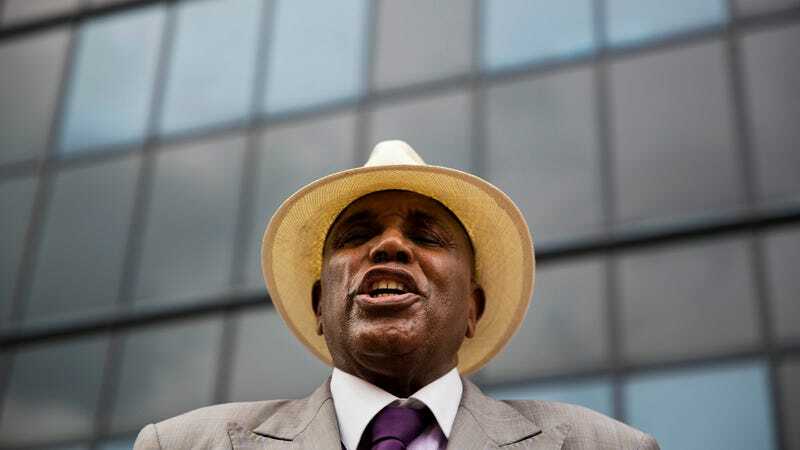 Reverend Gerald Durley joined Dr. Martin Luther King Jr. in the March on Washington on August 28, 1963. A college student at the time, he was there—along with 250,000 others—to demand civil rights in the form of jobs, voting, and freedom. The pastor never imagined, then, that he’d be fighting for another set of civil rights today. The faith leader, who is a retired pastor of the Providence Missionary Baptist Church in Atlanta, took up the environment as an issue roughly 10 years ago. Before, he didn’t realize the ways race and the environment were inextricably linked. Then, he made some white friends who were doing environmental work and immediately began to see the ways in which communities of color, rural communities, and lower-income communities were subject to the worst impacts of pollution and environmental degradation. Today, the pastor sits on the board of Interfaith Power and Light, a faith organization that looks at alternative energy sources. Former President Barack Obama named him a Champion of Change in 2015, recognizing Durley’s work as a climate faith leader. Climate change now plays a big role in the way the pastor looks at injustices. What he wants to see is Dr. King’s legacy play a role in how people talk about the existential crisis that is climate change. He’s right. Feeling hopeful is hard when the weather is weird, rivers are already locked into scary amounts of flooding, and coasts are fair game for drilling. No apocalyptic scenario sounds impossible these days, and that can be paralyzing for people (including me and probably you). On this day, when we celebrate Dr. King’s birthday, Durley wants people to remember—and honor—his legacy by holding onto hope. “We can turn this [climate change] situation around, and we’re in a critical point,” he said. Durley reminded me of the conditions black protesters met during the civil rights movement: water hoses, vicious police dogs, arrest, and death. The sacrifices and the risks people were willing to take then is lacking today—and Durley says that’s because people have lost hope. And they need to find it. Fast. “If my mother got in my way, I would walk over my mother during the movement, because we knew that the cause was bigger than our individual initiatives,” he said. He saw this hope growing at the height of the Standing Rock battle against the Dakota Access Pipeline. President Donald Trump crushed those hopes, but that needs to serve as fuel, as motivation. The civil rights movement faced countless hope-crushing moments—from Dr. King’s assassination in 1968 to racist drug laws in the ’70s— yet it persevered. Dr. King’s optimism and his relentless spirit give Durley hope as he continues to pursue the dreams of one of America’s most unforgettable civil rights leaders. Durley stood in the crowd as Dr. King recited his acclaimed “I Have a Dream” speech more than 50 years ago. King’s words around integration and solidarity still hold weight today.